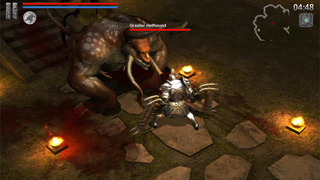 Ire: Blood Memory is a new spin on the old school RPG games. It is quite simple to play, but hard to get through, so if you need a game that is fun and challenging, this one will give you what you want. March into battle and vanquish all the enemies which threaten the realm. Take Cadmeia from Kerr and improve your skills on the way. Use tactics and upgrades to advance!